I read both of these last night from my Kindle. 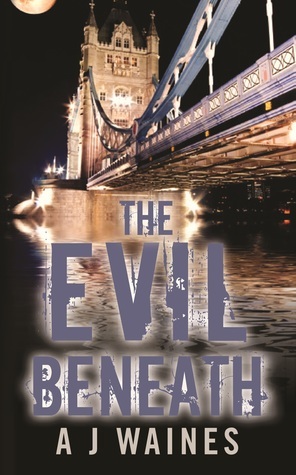 The Evil Beneath is a book club choice this month for the Kindle English Mystery Club at Goodreads. Well done mystery plot with an interesting protagonist, Juliet Grey, a therapist who becomes embroiled in a series of murders. A small hint of romance is included in the plot, but nothing distracting. The mystery plot had many twists and turns and false leads. Juliet’s past is threaded throughout and an old mystery is solved along with the new. I figured out one part of the reveal, but not the whole thing and I was way off base with another part so the red herrings certainly did their job, at least for me. I enjoy mysteries with interesting settings or places I have been, so London and the Thames and the various bridges made this a good read for me. The setting is an integral part of the mystery and I did like that about this book. Relatively quick, enjoyable mystery but hard to classify it exactly, perhaps soft boiled, although there is quite a bit of police involvement and procedure. I would read another from this author given the opportunity. 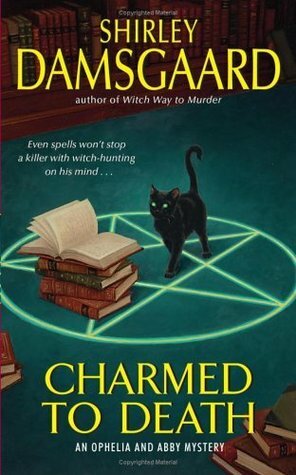 Charmed to Death is the second book in a cozy mystery series. I found the 1st, 3rd & 4th books at my local indie book shop, but couldn’t get a hold of the second, so I ordered it on my Kindle….must read in order syndrome. I am not a big reader of paranormal cozies..but I seem to keep saying that lately so maybe I am reading more of them than I think. Anyway, I enjoy this one and will continue reading it. I like the combination of realistic and paranormal elements. The characters Ophelia and Abby are charming and the cast of characters adds plenty of local color. The mystery was interesting and well paced. Ophelia is growing as a character, in her relationships and in her craft. I am interested to see where this series will go in the subsequent books. This entry was posted in Book Reviews and tagged Kindle, mystery, paranormal.